There are 6 reviews of Red Tobacco. A well appointed "opaque" tobacco-centered concoction based on a good connection of spices (powerfully saffronish), woods, rubbery/pencil shavings/resinous notes (vaguely a la L'Artisan All Oudh) and the dominant tobacco. Finally the main note (initially veined by fruity/floral nuances) is kind of woody, smoky, dusty incensey and opaquely "rubbery" (with hints of soft balsams). Virile and strong fragrance (with a spicy mild kind of poudree presence in the mix). A solid tobacco accord from Mancera. I must admit that I'm not really a fan of Mancera/Montale. I always find them a little tacky and way over the top. However....Red Tobacco is one of the good ones. This fragrance is very strong. Just about beastmode. With regards to the actually smell, think of PDM Herod and then amp things up. That's basically Red Tobacco. Very synthetic but still good. Red Tobacco smells very nice but it's simply overpowering and thus becomes unpleasant for me after an hour or two. It never lets up. If you think Amouage Interlude is nuclear strength, this has it beat. The pipe tobacco aroma is nice but what I assume is cinnamon smothers everything. One spray is enough, two is too much. Lasts all day and then some. Your clothes will hold the scent for days. Red Tobacco, I have been waiting for this for some time now. First spray, I get spicy cinnamon, but also spicy sharp fruity opening; (perhaps a somewhat similar opening to that of Aoud Blue Notes with the fruits, yet different...) as it dries down the Oud comes through quite nicely, however not over-powering. Red Tobacco has a great balance of Oud, spices, Fruits along with the Vanilla and Jasmine. The Tobacco, Sandalwood, and Patchouli really gives this fragrance its uniqueness and blended balance. There is nothing like this out there that I can think of that is like this. However, to give you a point of reference think, Aoud Vanille vanilla sweetness coupled with Aoud Blue Notes' fruity oud sharpness with a touch of Aoud Lemon Mint spiciness. This may give you a taste of what Red Tobacco is like, however more. As with all Mancera fragrances, you want to be very careful with the trigger as this is very POTENT! Again, great smell, but POTENT; if you're not careful this fragrance has the potential of being cloying!! Glad I have a bottle!! RED TOBACCO MANCERA EDP 10 ml Glass Parfum Travel Spray 100% Genuine Product! MANCERA Eau De Parfum Spray Red Tobacco 4 fl. oz. Phaedon - Tabac Rouge / Mancera - Red Tobacco ? 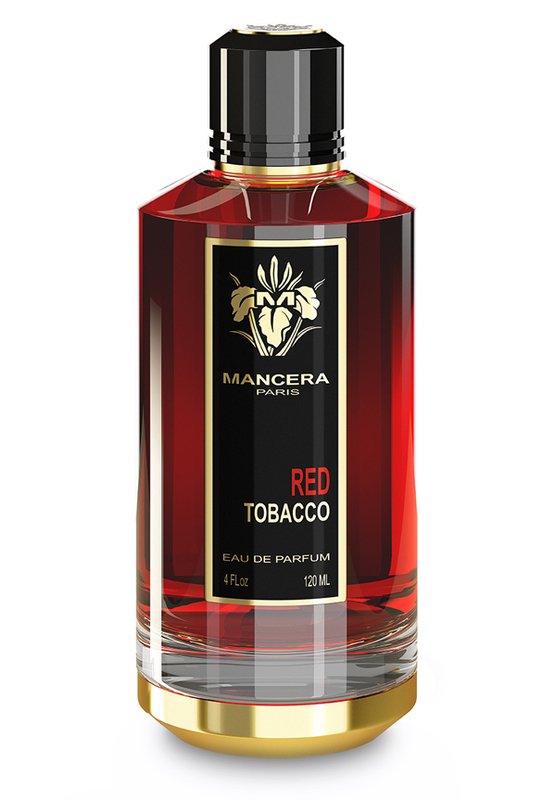 NEW: Mancera - Red Tobacco!